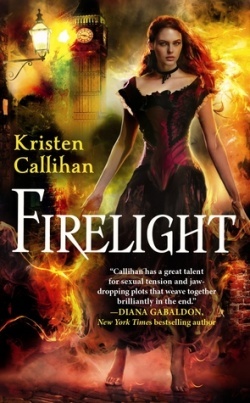 Kristen Callihan's debut novel FIRELIGHT recently caught my attention because of its firestarter heroine. This is especially so since I had read Corrina Lawson's PHOENIX RISING a few months ago (that book features a firestarter hero). As far as a marketing category, FIRELIGHT is a historical paranormal romance (Victorian setting), but I can't help wonder from the blurb if it has a superhero/X-Men element. Has anyone read it who can fill me in? Visit the announcement post at RT Book Reviews for complete details.